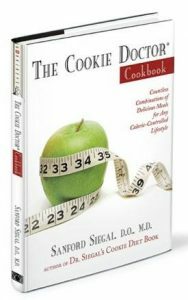 For the past three decades, the question that his patients and others have asked Dr. Sanford Siegal more than any other is, “What should I eat to reach and maintain a certain weight?” Finally, he answers the question with a remarkable new cookbook that provides 120 recipes that can be combined to create thousands of unique meals. The book is divided into 100, 200, 300, 400, and 500 calorie recipes. By combining two or more recipes, you can create meals of any number of calories! For example, if your diet calls for a 600 calorie dinner, you can choose one 500 and one 100 calorie dish. Or, three 200 calorie dishes, and so on. The possibilities are nearly endless!